Question id: 92. This question is similar to one that appeared in an IB Studies paper in 2014. The use of a calculator is allowed. The distribution of daily average wind speed on an island over a period of 120 days is displayed on this box-and-whisker diagram. (a) Write down the median wind speed. (b) Write down the minimum wind speed. (c) Find the interquartile range. (d) Write down the number of days the wind speed was between 20 kmh-1 and 51 kmh-1. (e) Write down the number of days the wind speed was between 9 kmh-1 and 68 kmh-1. 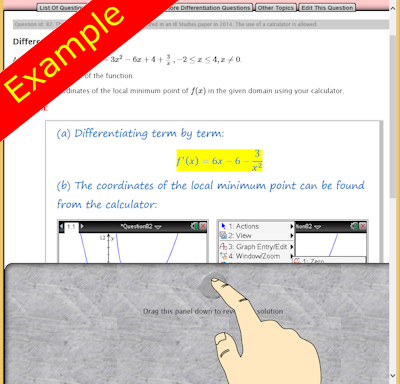 If you need more practice try the self-checking interactive exercises called Box Plots.